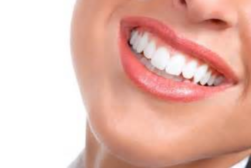 “There is more going on behind that smile than you know; brushing, flossing, and seeing the dentist regularly are only the beginning to a healthy mouth and a healthy body. Bacteria, fungi, and even protozoa can inhabit the mouth, leading to more than just bad breath and cavities. If not treated, these pathogens can cause more severe ailments, from inflammatory diseases, such as cardiovascular disease and rheumatoid arthritis, to cancer.” from a Speaking of Medicine post, 2015. No question about it, disease prevention begins in the mouth. So everything we can do to keep our mouth, teeth and gums healthy is well worth the time and cost. While the above article mentions seven specific nutrients we should be using for a healthy mouth, by no means is that the entire oral heath program. Regular flossing is not enough. We’ve been using a waterpik for many years because the massage action can also improve gum health and reach areas that can’t be reached with traditional floss. Why an electric toothbrush? Because it does a much better job than a manual. Electric toothbrushes are more effective at removing plaque and reducing gingivitis than manual ones. We’ve been using an electric for a long time …and getting great results on our regular oral checkups. Should you try oil pulling? I started “swishing” with coconut oil about two years ago and I’m still doing it as a valuable part of my morning routine. I’m seeing more evidence that this routine has plenty of benefits, so I highly recommend it. Check it out. How do you know if you have gum disease? Gum disease is sometimes called “the sneak thief of teeth.” You may not know you have it until it’s too late. The only way to be sure your mouth is in good health is to have a thorough professional mouth exam at least every six months. An important measure of periodontal (gum) health is the depth of the pocket around each tooth. The top of gum tissue does not attach directly to teeth. There is a space (pocket) between the gum and the tooth before it attaches. This space or pocket deepens in the presence of gum disease. To monitor and evaluate gum health, the pocket depth must be measured, recorded, and monitored. In a healthy mouth, a pocket can be anywhere from 1-3 millimeters deep. More than this, you need to take corrective action. We’ve had the good fortune to find what we believe is the best dental care program available …at half the cost we’ve paid in the past. So, if you live in the Phoenix area and want to know more about our program …contact me. I’m happy share what we’ve experienced.